Founded in 1991, Palomar Medical Technologies, Inc. produces the world’s most advanced laser and pulsed light systems for aesthetic applications such as permanent hair reduction, fractional ablative and non-ablative skin resurfacing, photofacials for pigmented and vascular lesions, fractional skin tightening through soft tissue coagulation, leg vein and acne treatment, and tattoo removal. Recognized worldwide as the new Gold Standard in laser and pulsed light technology, Palomar’s systems offer exceptional versatility, efficacy, ease of use, and patient comfort and safety. Max. Fluence System: 58 lbs. You asked for a powerful platform, and the StarLux 500 delivers. The StarLux 500 is clinically-proven to produce results as good as or better than single-procedure “gold standard” lasers – with the highest power available and a 70% higher repetition rate than earlier systems. 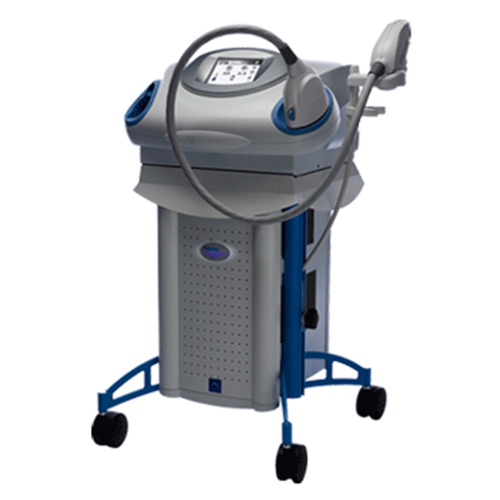 The StarLux 500 provides the most effective aesthetic treatments available, with superior cooling for advanced comfort and enhanced deep treatments. The compact StarLux 500 platform includes a variety of application-specific handpieces, allowing you to affordably expand your treatment repertoire as your practice grows.